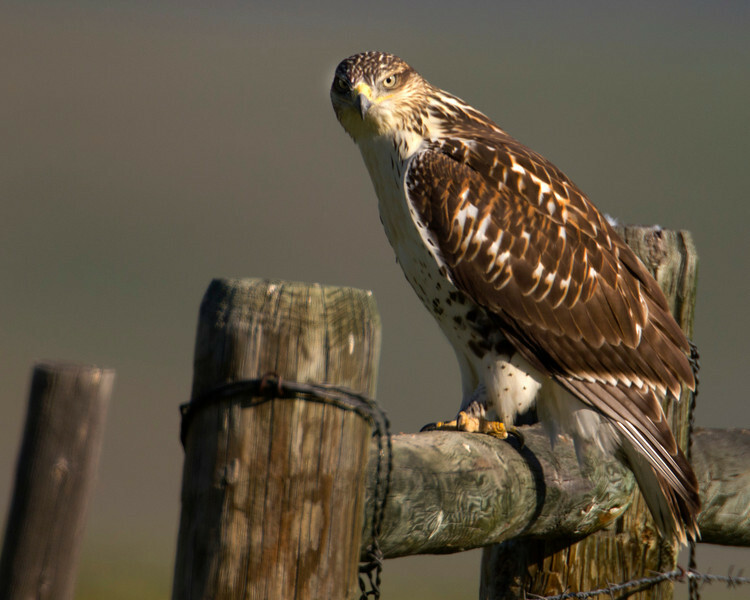 Ferruginous hawk (Buteo regalis) along North Valley road in Red Rock Lakes National Wildlife Refuge. July 23,2011. Pronounced "Fur Rouge iness"